This website takes the place of the older “imprints” website. Hope this one works better. Now if I can just figure out how to link it to the blog and Cajun Stitchery website that would be great. 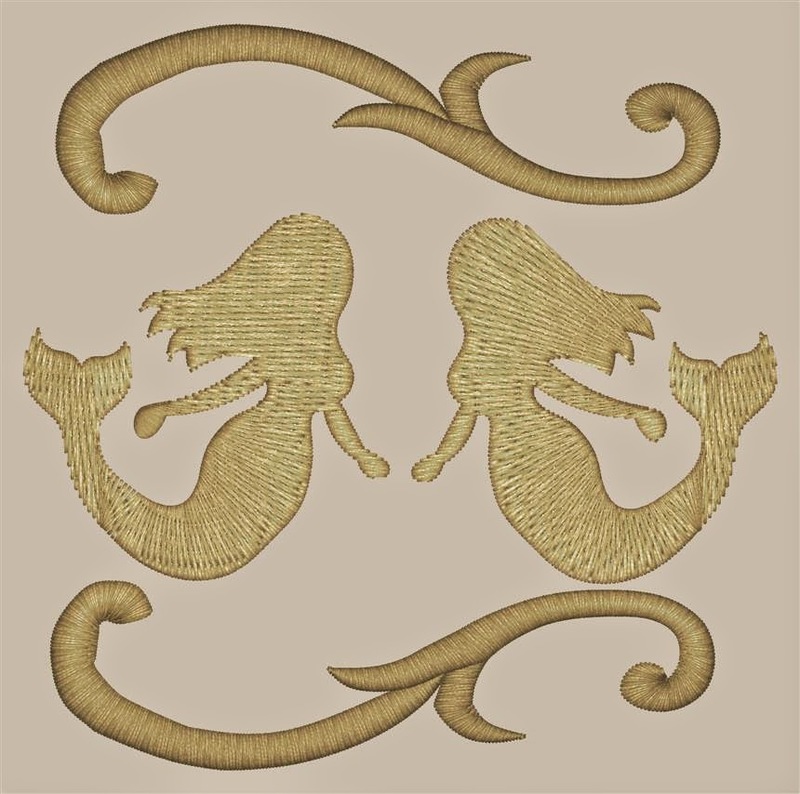 Browse around and look at some of the great items Cajun Stitchery sells. 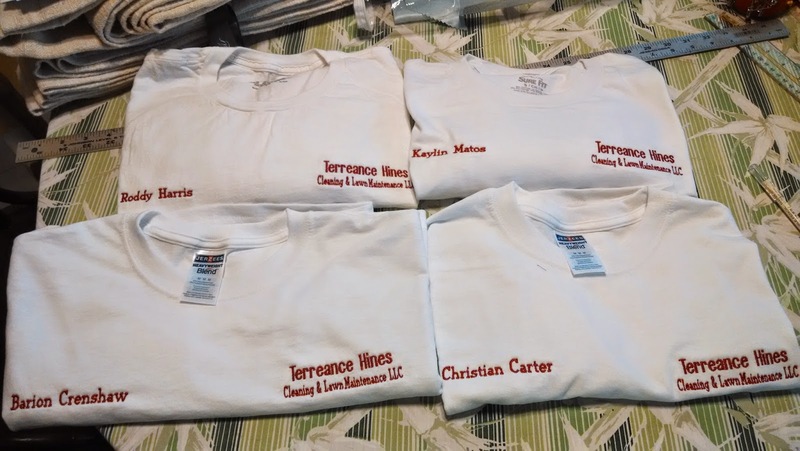 Bulk orders do get discounts. I’m not sure if the catalog allows for that but if not, contact me for the discount. What is all of this hoopla about the movie Frozen? 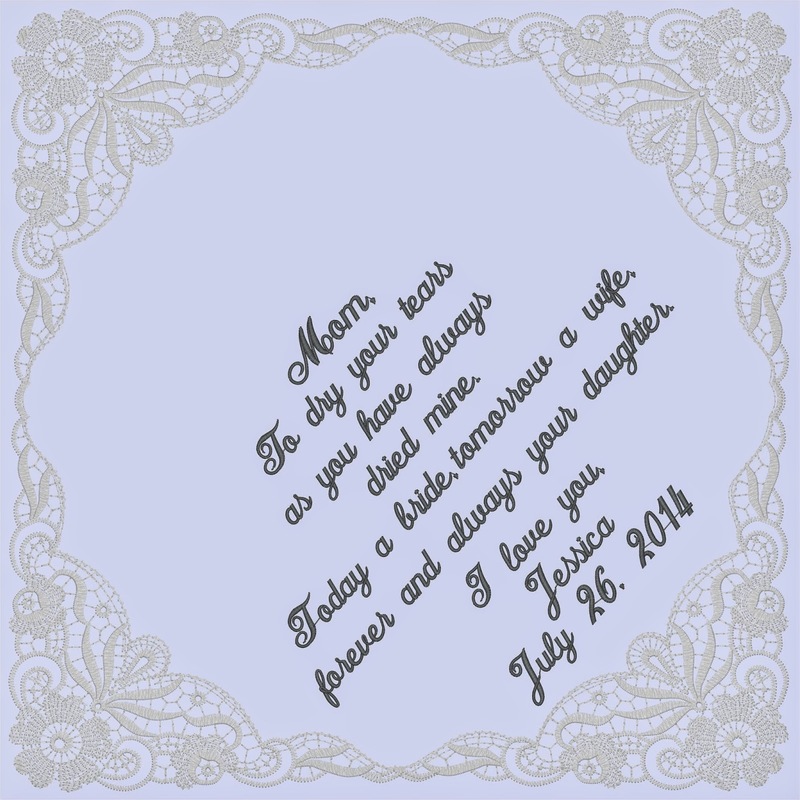 Cajun Stitchery now has the Frozen embroidery designs. However, to pitch the designs properly, we needed to see the movie. George got the movie Friday and we’ve now watched it three times. Love it. Of course, we have always loved cartoons. The music, the art, everything about this movie is, well, pretty terrific. If you have children, grandchildren, younger nieces, or other children in your lives, especially girls, make sure you get them Frozen everything. 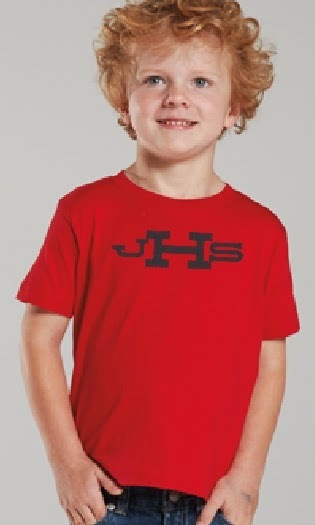 Go to our catalog and pick out something and we can do the embroidery. 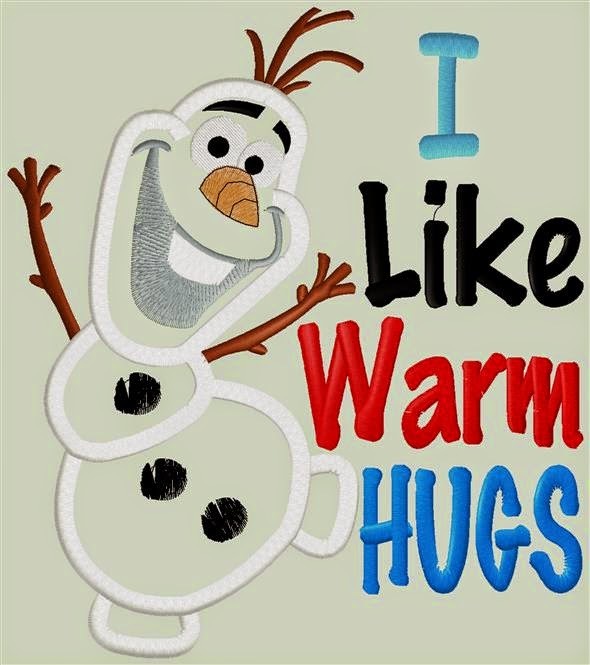 My favorite character is Olaf. 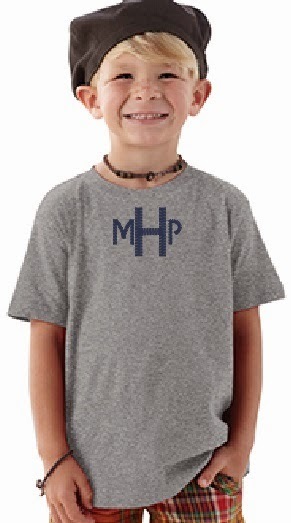 Don’t forget that we can always include the child’s name or monogram in the design. With Frozen in mind, it is not too early to start Christmas shopping. 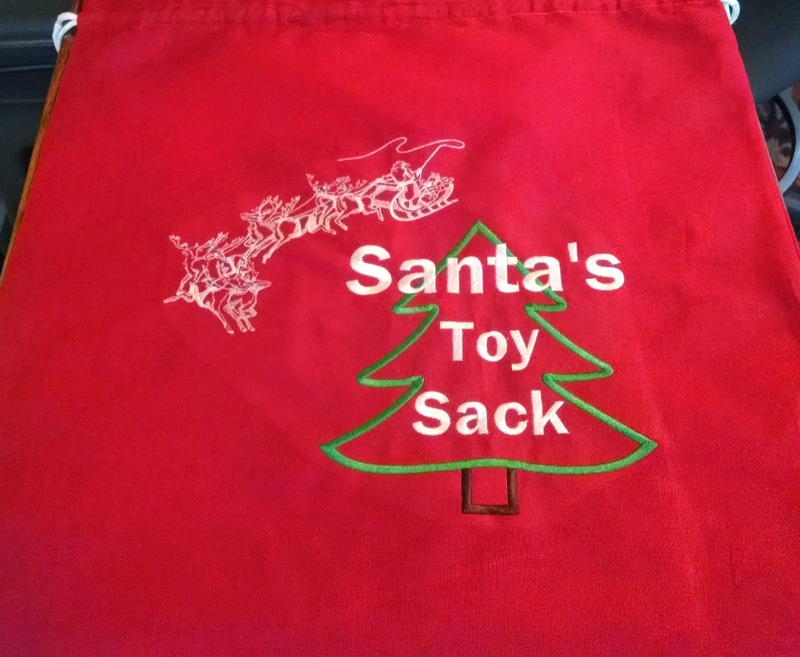 In fact, a lady contacted me wanting one of our large laundry bags in our Etsy store. Instead of white, she wanted red fabric. Instead of being so large, 24” x 38”, she wanted 24” x 24”. 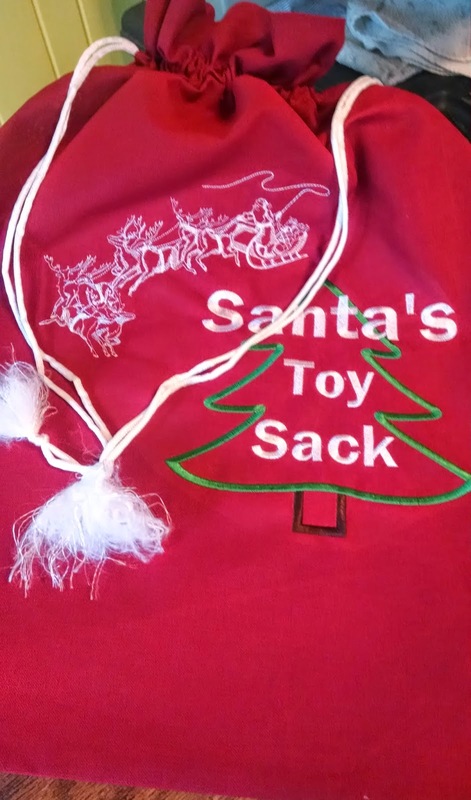 Instead of a plain sack she wanted “Santa’s Toy Bag” embroidered on it. 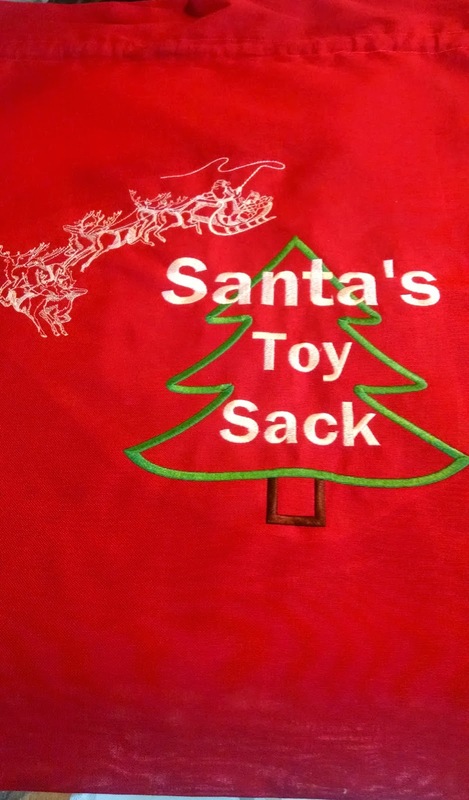 We put the design together with Santa, sleigh, and 8 tiny reindeer flying through the sky to a Christmas tree with the wording “Santa’s Toy Bag” embroidered on it. The past two weeks have been consumed with a continuous embroidery design project. The project was 315” of continuous embroidery. I think it turned out beautiful. There sure is a lot of measuring and math involved. As a child, I remember thinking I’d never use this stuff in real life. Not a day goes by where I’m not using the math, algebra, and trigonometry. Sewing is all about mathematics. I am working on some more continuous embroidery at this time, trying to prefect various types. SET A NEW PASSWORD � CAN YOU RELATE? COMPUTER   SCREEN:   Please enter your new password. COMPUTER   SCREEN:   Sorry, the password must be more than 8 characters. COMPUTER SCREEN:   Sorry, the password cannot have blank spaces. COMPUTER SCREEN:  Sorry, the password cannot contain punctuation.